of Vintage Porsche and Volkswagen Collectibles, Literature, Tools and Trim! 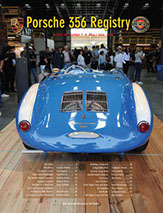 The 2020 Porsche and Vintage VW Literature, Toy, Model, and Memorabilia Swap Meet is the 37th Annual event, with thousands of shoppers, vendors and enthusiasts. The meet is held in the two large ballrooms on the main floor of the Airport Hilton, 5711 W. Century Blvd., Los Angeles—very close by Los Angeles International Airport. The public is admitted at 9:00 a.m. for $10 each at the door. Early Bird shoppers are admitted with the vendors at 7:00 a.m. for $30 at the door. "Early March saw the 35th installation of “The Lit Meet” come off at the Hilton Hotel on Century Boulevard by the Los Angeles airport. Home of the swap meet for the last 25 years, the LAX Hilton has been a superb partner. With family ownership, long-term staff and excellent facilities, notably the two huge ballrooms adjacent to each other, the hotel is almost ideal. 2018 saw organizer Bruce Schwartz aka Stoddard NLA line up even more “week before” activities. The bus tours expanded in 2018 with selections for Thursday, Friday and Saturday. They were VERY popular..."
Sign up today for the latest news from the LA Lit and Toy Show! 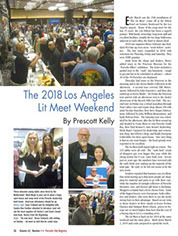 Copyright © 2018 L.A. Lit and Toy Show. All rights reserved.